Was the bug to be an entrepreneur there when you were students itself? None of us had this entrepreneurial bug earlier. My ambition was to be an electronics engineer and I was happy working for Texas Instruments in Bengaluru after passing out from BITS, Pilani. The seed was sown when I couldn't get a bus ticket to go back to Hyderabad during the long Diwali weekend in 2005. As I had no other work, I went to a bus ticket agent and asked how the whole process worked. I felt there might have been a bus which went vacant and he didn't know about it. When he explained how bus ticket booking worked, I figured out that there were many inefficiencies in the system. What were the inefficiencies you saw in the system? Suppose there are hundreds of buses from 30 operators running from Bengaluru to Hyderabad, the agents do not have access to all the operators. When an agent gets a customer, he calls a bus operator to find out whether there are tickets available. The operator looks at the chart and tells him the number of vacant seats. The number of agents a bus operator can have is limited as he needs to identify all by phone. The agents also have only limited number of operators to work with. Then, the customers cannot always choose the seats as there is no transparency. 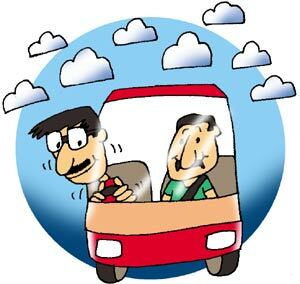 Another problem is, as the fares are not published, there is no fixed fare for the customer. But the major problem was booking return tickets. Every time you went home, you had to call someone and ask them to book the return tickets from there. At that time, travelling from Bengaluru to Hyderabad was like travelling between two countries. Being an engineer, when you see a problem, you start thinking about solutions. 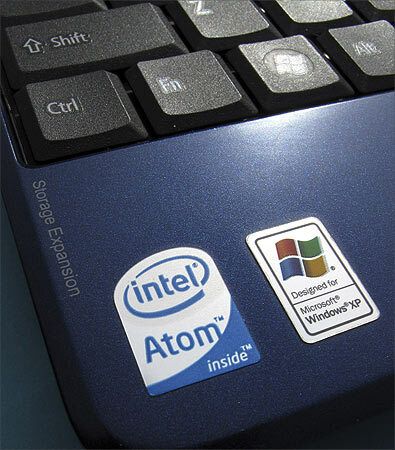 I felt computers could solve these problems easily. Did the idea of starting an enterprise on those lines occur to you then? No, that was not in my mind at all at that time. It was like, there is a problem and it can be solved. That weekend itself, I wrote a mail to my room mates telling them about the problem, and why I had to stay back. What I planned was, create a software, sell it to bus operators and give the money to some NGO. It was not a business proposition at all at that time. When did the idea change to starting an enterprise? At that time, it was very exciting for us to find a solution for such a problem that involved thousands of people. In January, 2006, we -- the seven of us -- divided the work amongst us and started working on weekends on the project. 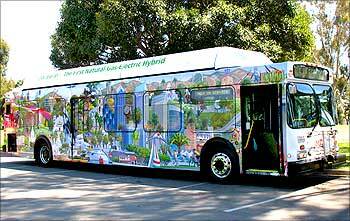 When the prototype was ready, we went to the bus operators and tried selling it to them, but they were not even willing to take it for free. It was like, we were trying to disturb the status quo. We didn't know what to do. That was when we heard of TiE, Bengaluru, and we went to them with the business plan. They gave us three mentors to advise on what to do. Were the mentors responsible for you starting the enterprise? Yes, they gave us the idea to start a business of our own. They gave us assignments every week. It was like doing a market survey. We were very prompt in doing all the assignments as we felt when such big businessmen were taking time out to help us, we also would be meticulous in our work. By then, only three of us were left to do the work. As a result of working every weekend and collecting so much information, it became a business for us without even them telling us. What was the information you had collected? The number of buses, the number of routes, the average price of a ticket, how people buy tickets, the profile of customers, how much commission a bus operator pays to an agent, etc. It may not be comprehensive, but it gave us a general idea of the industry. Even today, we continue to study the industry and we cannot stop. Image: Photograph for representative purpose only. From where did you gather capital for starting the company? We started in August 2006 with Rs 500,000 which was the savings of the three of us. One room of the house where we stayed was our office. In the morning we would keep the other parts closed so that the room looked like an office. By now, three more people who were young relatives of ours had joined us to help out. 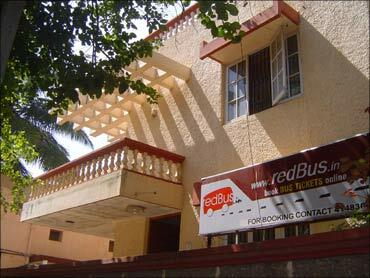 How did you think of the name RedBus? At that time, I was reading the autobiography of Richard Branson who started the Virgin brand. The way he rose up from poverty fascinated me. The Virgin brand is red in colour. Marketing becomes easier if you have a colour. As we are an Internet-based company, people would have to type our name. So, it was better to have the easiest name. That was another reason we zeroed in on red. 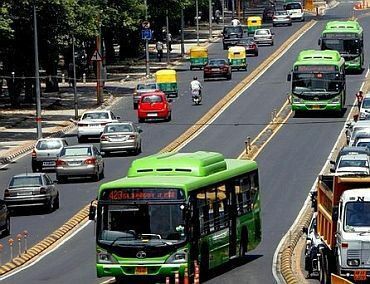 As we studied in BITS, Pilani, we used to go via Delhi and there, you have red line and white line buses. Though we first thought of redline, the name was booked. Then we decided on redBus. Angeline, a friend of a classmate, designed the logo for us. 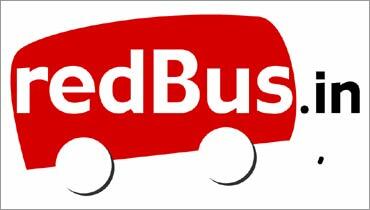 We registered redBus.in and created a web site. Were you enjoying the challenges? Life after we started redBus was very tough; from a pampered corporate life, we were thrown into a life of uncertainties where we had to go to people requesting for things. To the bus operators, we were like the hundreds of sales people who went there. The world of business is totally different from the world you see as an employee. What we faced were huge challenges. How did you let the customers know that they could book on your web site? 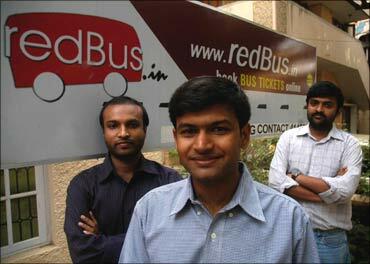 We used to go to the IT companies, stand outside when the employees came out for lunch and then we gave our redBus cards. For the first time, we were on the other side of the fence. A few weeks back, we were inside a campus and we used to ignore such sales people or brush them aside. Now, we had to kill our egos. It was a big moment of truth for us. In entrepreneurial life, you have many such humbling experiences. How was the first day when you opened your web site for booking? That is another story. After several visits and many requests, one operator agreed to give us five seats. It was on the August 18. He said, if you sell 5 seats in one week, its fine. If you don't, don't bother me again. We had one week to prove ourselves. We put the seats up! We told all our friends and colleagues and asked them to buy from us. We also requested one of our friends to write about us on their discussion board at Infosys. On the 22nd of August, we sold our first seat. A lady working at Infosys booked a ticket to go to Tirupati. We were so tense that we went to the bus station and waited till she boarded the bus. We didn't tell her that we were from redBus. We sold all the seats in five days and went back to him. Slowly, we could add more operators to our inventory. When did you scale up your operations? When TiE selected ours as one of the three ideas out of 300 for mentoring, it became news. It was followed by venture capitalists contacting us as they found our idea interesting. Before we went to TiE, we didn't know anything about VCs (venture capitalists)! That was the time there were many VCs and very few ideas. So, people were willing to put up money for our idea. We asked our mentors and they told us to take the money and begin developing the idea. The VCs asked us how much money we needed, we said Rs 30 lakh (Rs 3 million) as that was a big amount for us then. Then one of the VCs spent several hours with us and we revised the plan seven times. At last, we found that we needed Rs 3 crore (Rs 30 milion) to scale up the business. The agreement was that money would be invested in three years. That was in February 2007 and the money was supposed to last till February 2010. We spent all the Rs 3 crore in one-and-a-half years. The VCs also asked us to change from an online bus ticketing company to just bus ticketing company, and that is what redBus is now. Once you take money from someone, it becomes a business and you have to return profits on that money. You started operations in August 2006. How did the first year go and also the subsequent years? 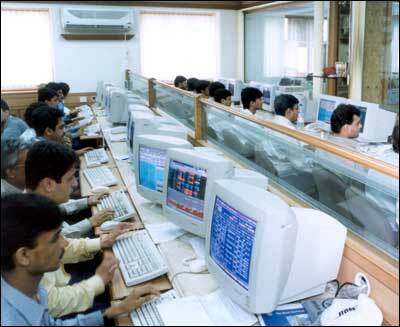 The first year was not a full year and we did Rs 50 lakh (Rs 5 million) worth of business in the first financial year. There were no profits. Second year -- the year ending 2008 March -- was a huge success. The turnover was Rs 5 crore (Rs 50 million). We had 25-30 people working for us in three offices and had 50 bus operators. In 2009, we grew six times and the turnover was Rs 30 crore (Rs 300 million). 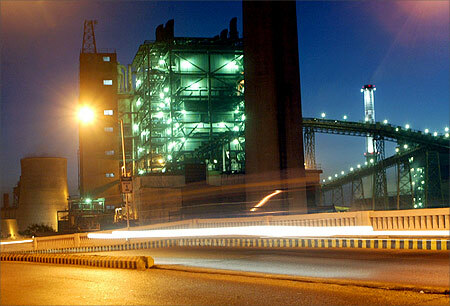 In 2010 March, we had Rs 60 crore (Rs 600 million) as turnover. We hope to do Rs 150 crore (Rs 1.50 billion) this year. Today, we have 250 people working for us in 10 offices -- Bengaluru, Hyderabad, Chennai, Coimbatore, Pune, Delhi, Vizag, Ahmedabad, Mumbai and Vijayawada. This covers all the places where the bus industry is active. Southern India is most vibrant on the Internet and then comes western India. We have seven physical call centres and three satellite call centres and tickets are home delivered in 10 places. We sell more than 5,000 tickets every day. We have 700 bus operators with us. And we have only touched the tip of the iceberg. There are 5 lakh (500,000) tickets with us to be sold every day and we sell only 5,000. So, there is a lot to grow. It is a Rs 15,000 crore (Rs 150 billion) industry and we are a small dot in the business. We are profitable from December 2009. In the next four years, we plan to cross Rs 1,000 crore (Rs 10 billion). 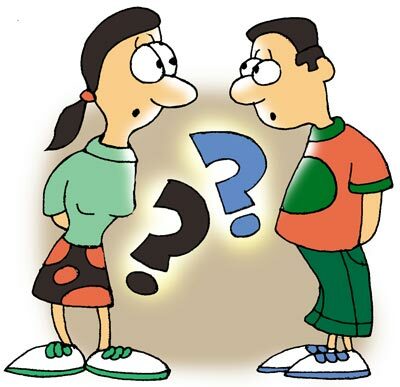 How did your association with Endeavour start? You are only the second Indian to be a part of this international network? Endeavor is a non-profit organisation started by the Harvard alumni. 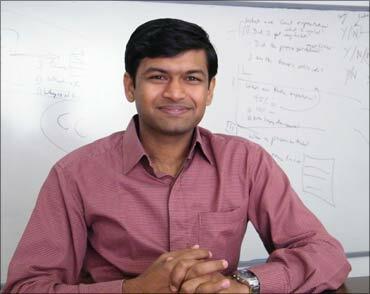 They identify high impact entrepreneurs and provide them help in scaling up their businesses. In India we were selected because of the revolution we brought in the bus transportation industry in India. They helped us connect to potential joint venture opportunities in Uruguay, Argentina and Europe. They also provided us the opportunity to take Harvard MBA students for internship, which was otherwise highly impossible for a company like ours to even think of. Besides this, they also connected us to some of the very famous personalities in India who helped us in scaling up our business. The journey so far has been amazing and an eye-opener as an entrepreneur and also as a human being. Every day is a learning experience for an entrepreneur.